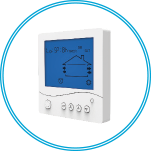 Single-room heat regeneration unit. Air capacity up to 50 m³/h. 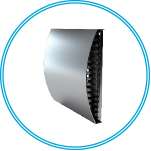 The high-tech ceramic energy accumulator with regeneration efficiency up to 97 % ensures extract air heat recovery for warming of supply air flow. 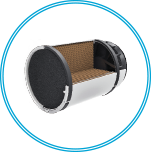 Due to the cellular structure the unique regenerator has a large air contact surface and high heat-conducting and heat-accumulating properties. The ceramic regenerator is treated with an antibacterial composition which prevents bacteria growth inside of the energy regenerator. The antibacterial properties last for 10 years. 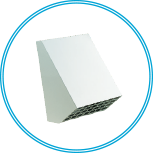 The two integrated air filters with total filtration rate G3 provide supply and extract air filtration. 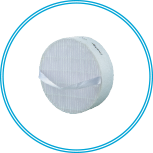 The filters prevent ingress of dust and insects into the supply air and contamination of the ventilator parts. 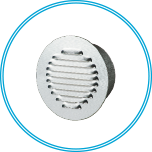 The filters also have antibacterial treatment. 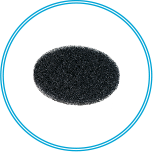 The filter cleaning is done with a vacuum cleaner or water flushing. The antibacterial solution is not removed. 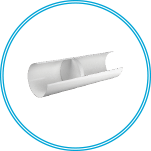 F8 filter is available as a specially ordered accessory, but when installed, it reduces the air flow down to 40 m3/h. The reversible axial fan with a DC motor and power supply voltage of 12 V serves for air supply and exhaust. 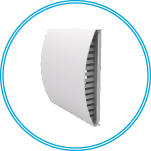 Due to the applied DC technology the fan is featured with low power consumption. The fan motor has integrated thermal overheating protection and ball bearings for long service life. 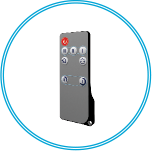 The ventilator is operated with the wall-mounted control panel or the remote control for your convenience. Ventilation mode. 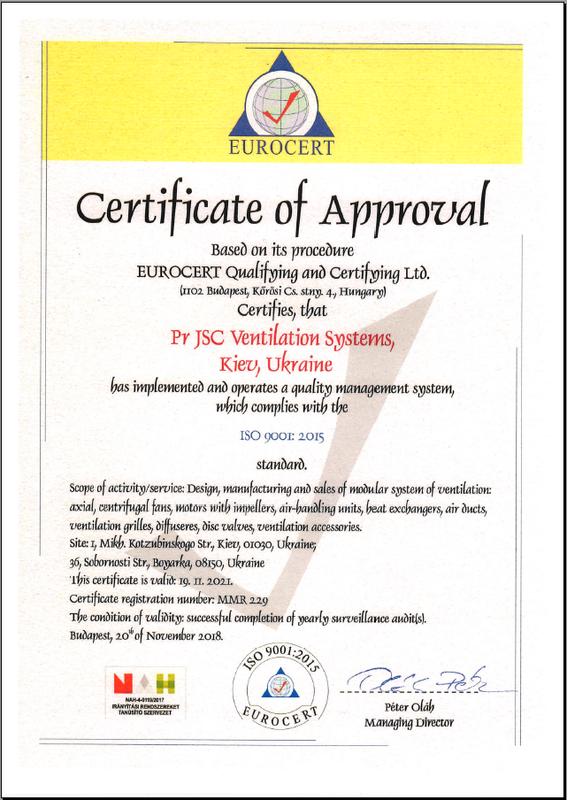 The ventilator runs in the air extract or air supply mode with a set speed. In case of synchronous operation of two connected ventilators one unit operates in the supply mode and the other one in the extract mode. Regeneration mode. 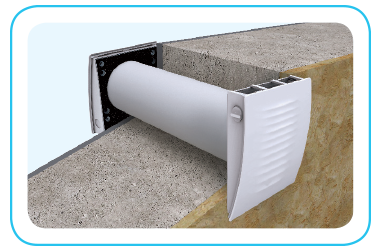 The ventilator runs in two cycles, 70 seconds each, to provide heat and moisture regeneration. interval 1. 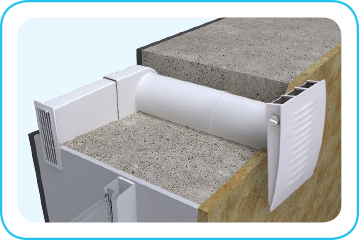 The warm polluted air is extracted from the room and flows through the ceramic regenerator, which gradually absorbs heat and moisture. In 70 seconds after warming is started the ventilator switches to the air supply mode. interval 2. The fresh and cold outdoor air flows through the heat regenerator and absorbs the accumulated moisture and heat so that the supply air flow has the room temperature. 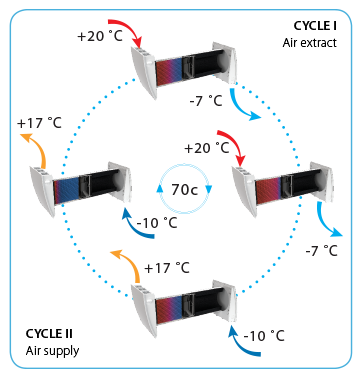 In 70 seconds, when the energy regenerator gets cold, the ventilator switches to the air extract mode. The cycle starts from the beginning. If two ventilators are installed, they run in opposite phases. While one ventilator supplies fresh air, the second one extracts air from the room. 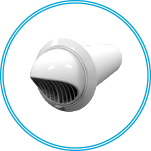 The polluted warm air is extracted from the room and while passing the ceramic energy regenerator, it transfers the heat and moisture to it. In 70 seconds, as the energy regenerator gets warmed, the ventilator automatically switches to the supply mode. The fresh, but cold outdoor air flows through the heat regenerator and absorbs the accumulated moisture and heat so that the supply air flow has the room temperature. In 70 seconds, when the energy regenerator gets cold, the ventilator switches to the air extract mode. The cycle starts from the beginning. The changeover between the supply and extract modes takes place each 70 seconds. 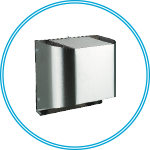 The ventilator is designed to ensure continuous mechanical air exchange in houses, offices, hotels, cafes, conference halls and other residential and public premises. 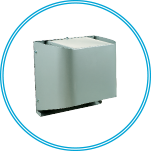 The ventilator is equipped with a ceramic regenerator that enables supply of fresh filtered air heated by means of extract air heat regeneration. 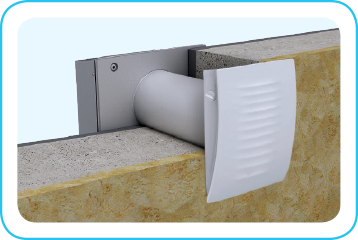 The ventilator is designed for through-the-wall mounting and is rated for non-stop operation. Transported air must not contain any flammable or explosive mixtures, evaporation of chemicals, sticky substances, fibrous materials, coarse dust, soot and oil particles or environments favourable for the formation of hazardous substances (toxic substances, dust, pathogenic germs). 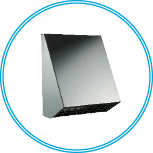 The ventilation system based on the TwinFresh ventilators provides for one ventilator in each room. 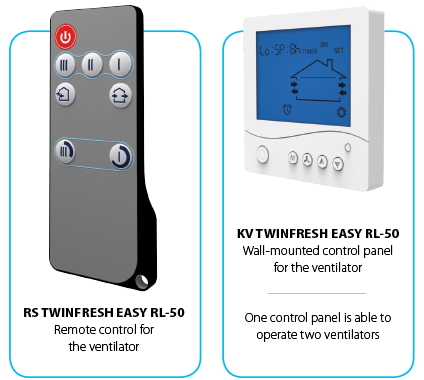 To ensure balanced ventilation, it is advisable to use a paired number of ventilators and connect those into a single network. Some ventilators must be set to operate in the supply mode and the other ventilators must be set to operate in the extract mode. For bigger rooms two and more ventilators are recommended. TwinFresh may be used as an individual unit. 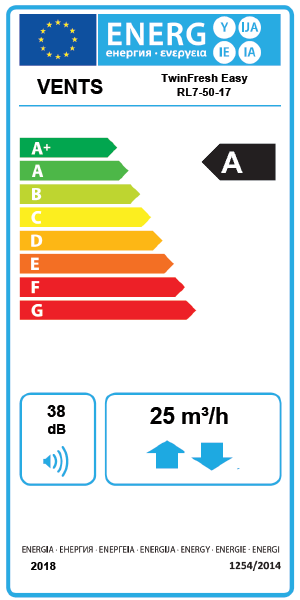 In this case the ventilation mode must be selected individually for each room. Air moves between the rooms through the door openings and corridors and this way the required air circulation in the house is arranged. 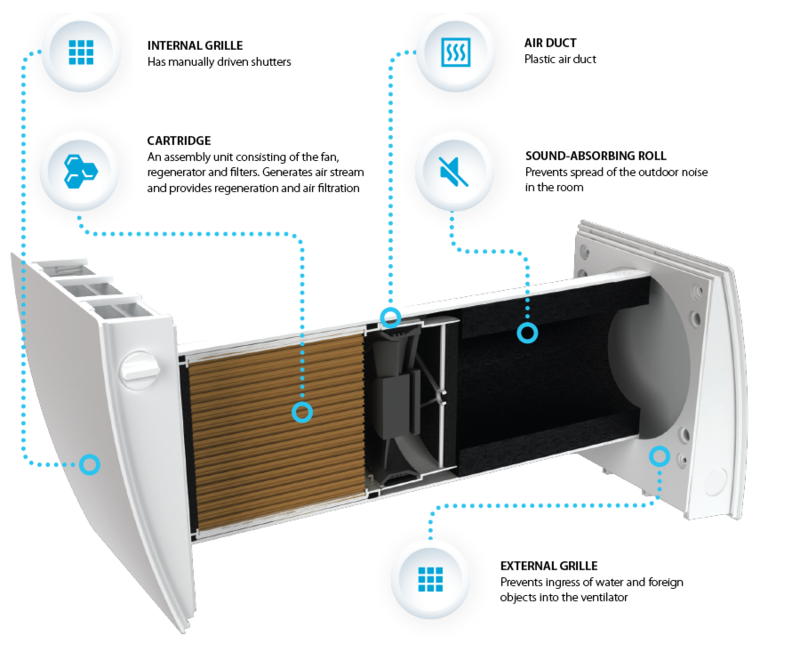 The ventilation system with energy regeneration based on the TwinFresh ventilators significantly reduces heating and air conditioning costs. 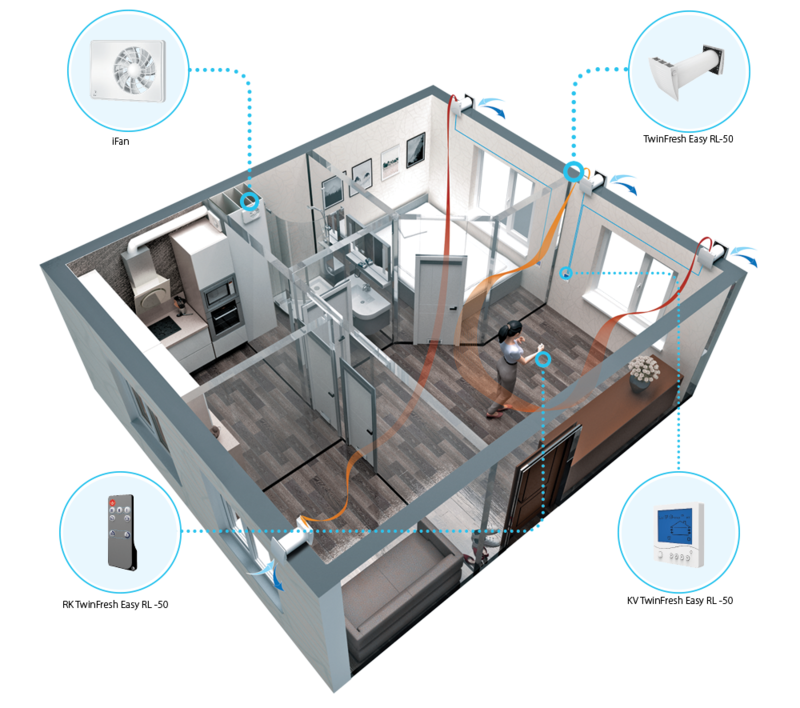 iFan WiFi fans are recommended for very efficient extract ventilation in the kitchen and bathroom. 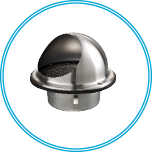 Polluted air is extracted automatically in case of actuation of the motion or humidity sensors.